In December the horse was bought for $16k in a claiming race. Maximum Security is worth more today. 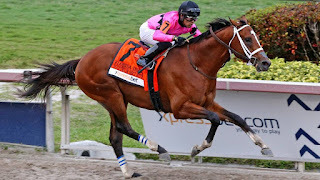 He won Saturday’s 68th Florida Derby by a comfortable margin. Victory in the $1 million, Grade 1 stakes race qualified the 3-year-old bay colt for the Kentucky Derby.